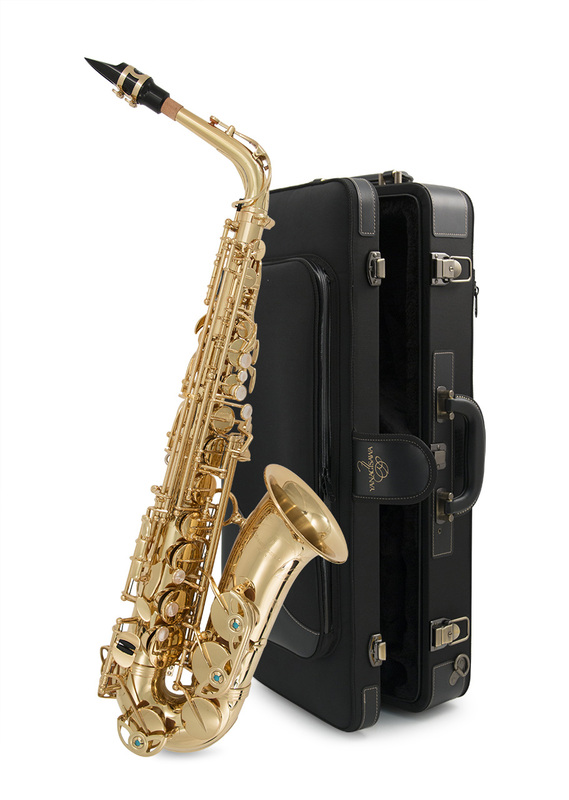 The New Yanagisawa AW01 range replaces the long standing A901 series. This first level Yanagisawa has long been popular with upgrading players and also more experienced saxophonists. The price has always been attractive to players wanting a first 'serious' upgrade, although you may find it in some 'intermediate' lists all Yanagisawas are really pro instruments: Handmade in Japan to the most exacting standards with industry leading materials and precision. The New AW01 range really does have some major modifications whilst retaining the classic Yanagisawa sound and feel that have made them so popular. - The AW range also benefits from a new strengthening plate on the front of the crook, this is essentially to add core weight around the neck area which can result in the player feeling more strength to the sound. - Finally for body spec changes there has been a new plate added to the left hand palm key area, this should provide some extra resonance (and arguably projection) especially on those notes as it adds core weight to the corresponding area of the tube.